Today is Fat Tuesday, the last day allowed to sin before the beginning of the Catholic season of Lent, the 40-day fast. In New Orleans, there is a law against concealing one’s identity which is lifted for only one day, the last day of the Mardi Gras. If you happen to be in New Orleans on this day, you will see people wearing creative and even shocking masks. 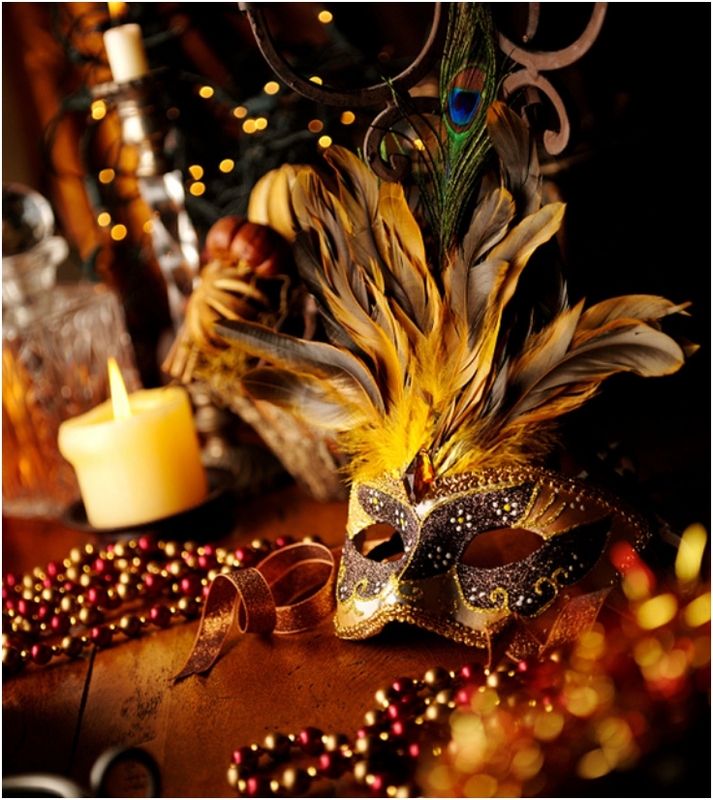 To blend in and get the full Mardi Gras experience, you must wear a mask of your own and if you have a few hours to spare, take plain old masks and make some from scratch and decorate them in your own style. To get you started we offer you the top 10 carnival masks tutorials. Just remember to free your creativity and add to the mask whatever you like. This mask will not only be excellent for Mardi Gras, but will also save a ton of money on future costumes for any occasion. All you’ll need is paper, some form of cardboard some art glue and sequins or lace. As you can see, the final effect is astonishing. 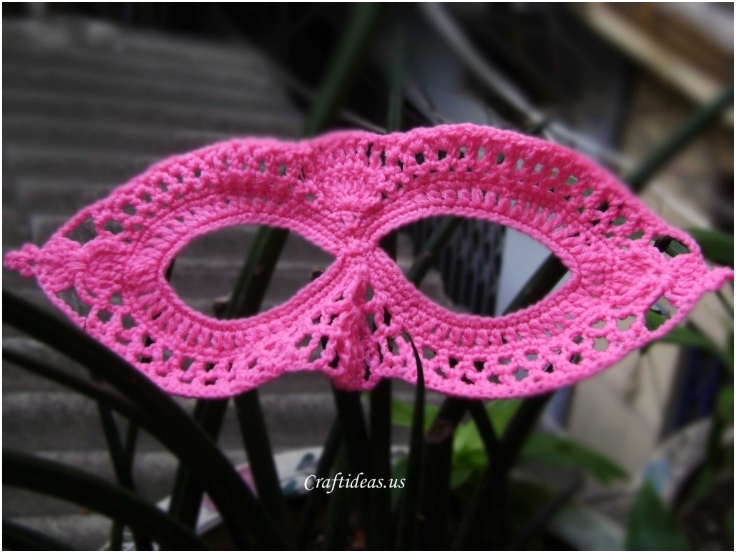 Sometimes for a good mask you only need some yarn and a a crocheting needle. Here is an interesting mask that is simple, elegant and ready for modification. For a more Mardi Gras look, use purple, gold and green colored yarn and add some feathers. Tatting is a technique for making a more durable lace by constructing series of loops and knots. Usually used for making old-fashioned doilies and collars, here is how you can use it to make wonderful dazzling mask with small crystals. 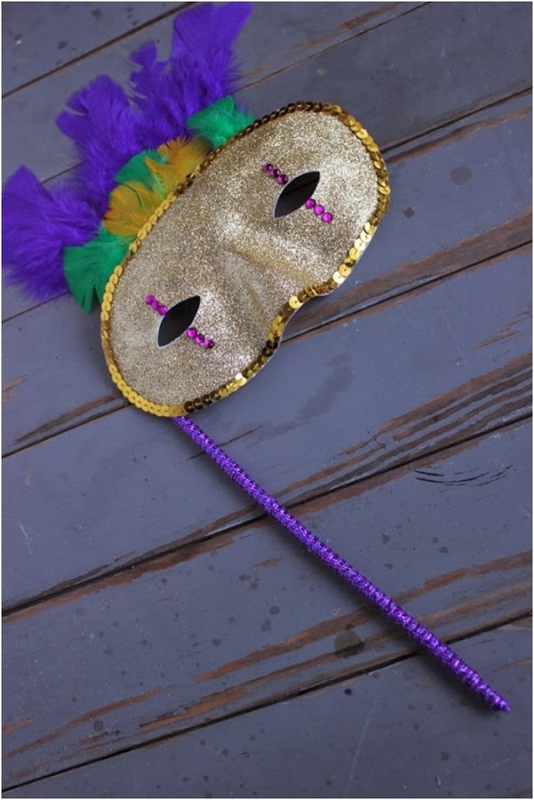 A fun plastic mask on a handle in true Mardi Gras colors. This mask is good for adults and kids alike and it’s made from plain plastic mask, some glitter, glue, feathers ans sequins. The final result is truly Mardi Gras worthy. 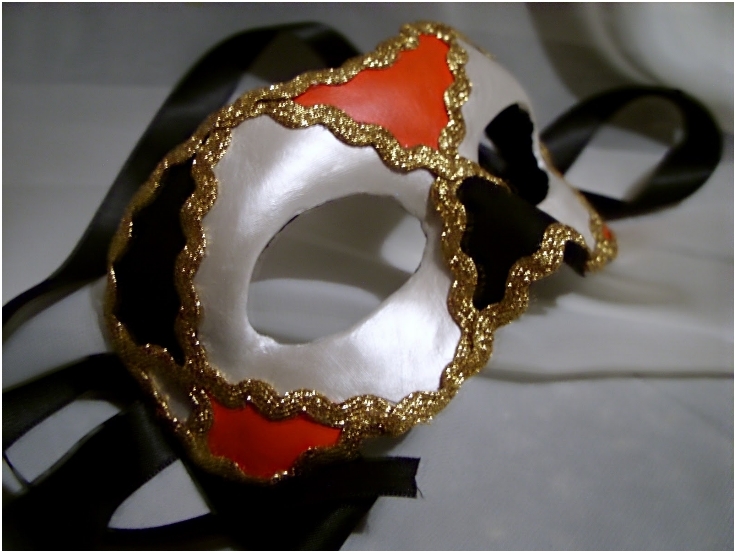 Common themed masks during the Mardi Gras carnival are the Venetian and harlequin style masks. If you like that style and want a more authentic look, give this tutorial a try. You want to keep the spirit of the colorful Mardi Gras, but you’re afraid that if you use too much colors you’ll end p looking like a parrot. 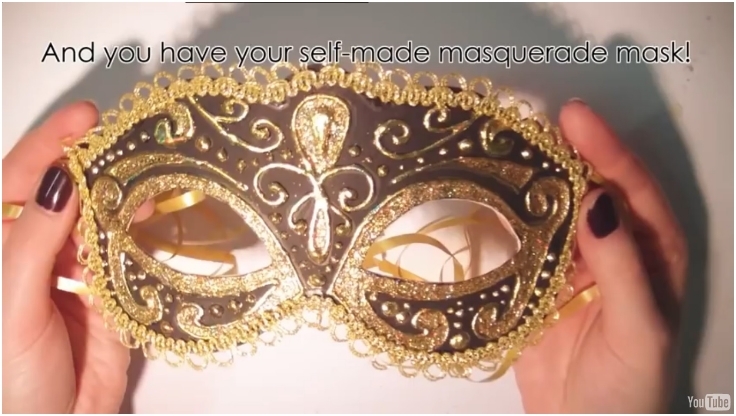 With this mask, you can only use one color of your choosing and still sparkle at the carnival. 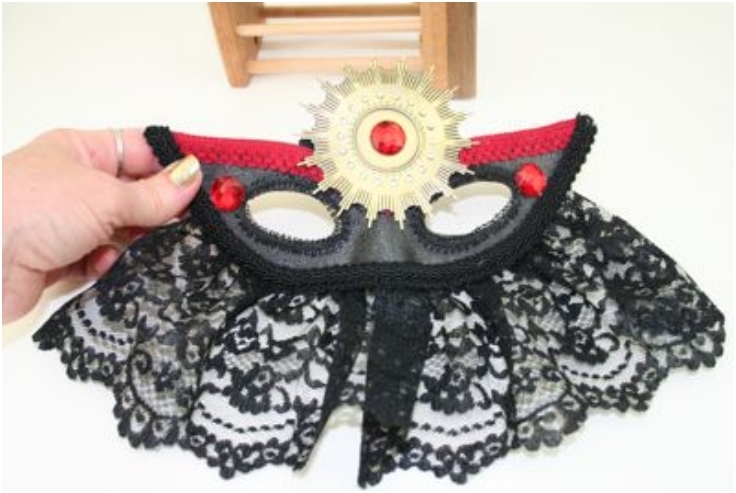 For a bit more mystic to your plain mask, add a little decorative trim around the edges of the mask and the eyes and glue a piece of lace on the bottom long enough to cover the lower part of the face. 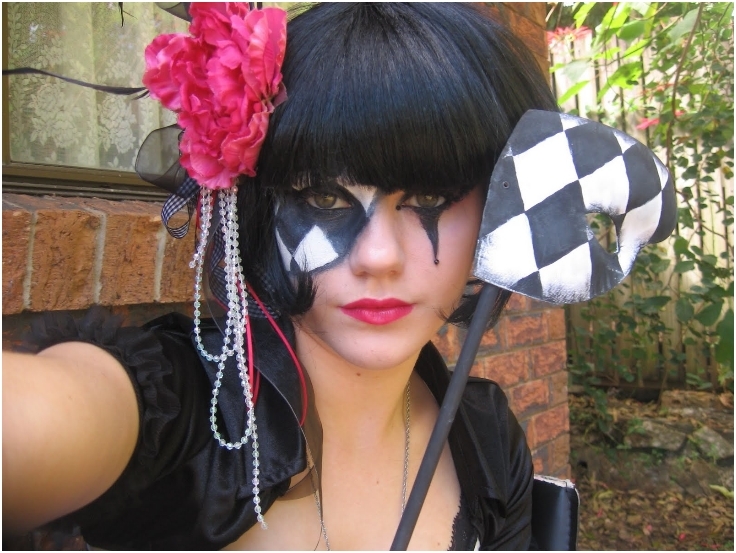 Here is an excellent idea to be masked even when you’re not wearing the mask. Take an eye mask and cut it in half, paint it however you like and he paint the exposed part of the face in the same way. The final effect is confusing and amazing. 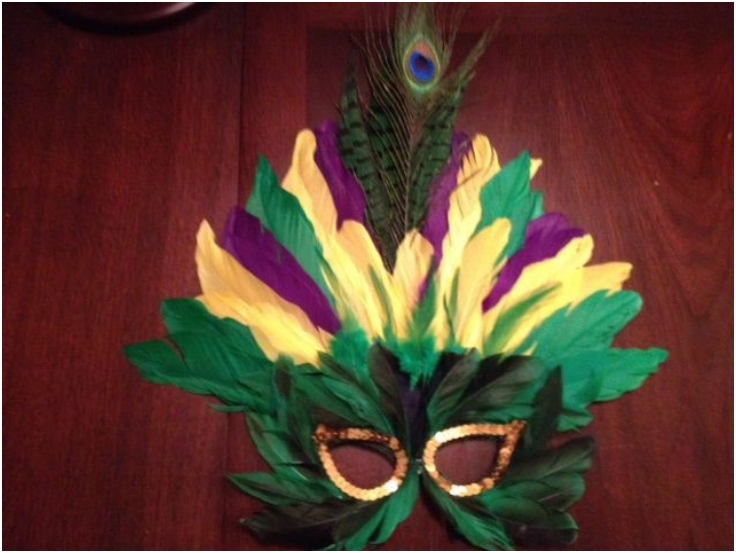 This is the mask of a true Mardi Gras enthusiast that barely ade it on time for the carnival. 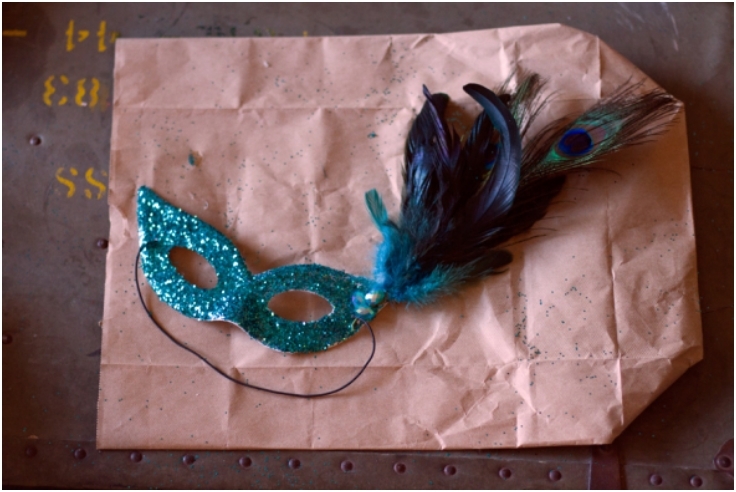 A mask covered compleately in feathers in the three colors of the Mardi Gras. A mask that really makes a statement. You’ve seen some interesting mask and you must already have some ideas of your own but are not quite sure how to execute them. use the tutorials from above and the tips in the link bellow and you will surely make yourself one heck of a Mardi Gras mask.